Koh Phangan to Koh Tao is one of the most traveled ferry routes in all of Thailand. The result are several different companies, types of boats and prices, making the decision for a particular ferry not that easy. You might think you can just go to the pier on either island, buy your ticket and sit on the boat maximum half an hour later. It’s not that easy. First, the price differences can be up to 200 Baht depending on the type of ferry, second sometimes the ferries are fully booked (especially during full moon), and sometimes the biggest and cheapest boats don’t operate (especially during the low season), in which case there are only 3 daily departures. 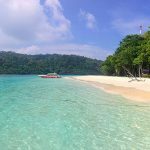 If you are reading this guide, you are probably on Koh Phangan right now, and wondering how to get to Koh Tao. (If you are on Koh Tao, I will talk about the opposite travel direction later in the guide). First and most important: Inquire at one of the many travel agencies on Haad Rin or Thong Sala about the ferry departures. When I did that trip last month, the lady at the travel agency on Haad Rin offered me a package for 400 Baht including the taxi (songthaew) to the pier and the ferry to Koh Tao. I thought she would surely take a commission on that and decided to just do it myself. So I took the songthaew to the pier in Thong Sala (100 Baht, standard rate) and when I arrived at the ticket booth on the pier, the guy told me the price is 350 Baht. 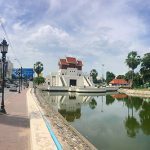 So I paid 450 Baht in total – 50 Baht more than the travel agent had offered me. 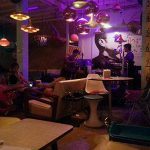 Really strange, so if you get that 400 Baht offer – better take it. Important note on the songthaews on Haad Rin: Many drivers ask you for 150-200 Baht so that they leave right away. Unless you are in a hurry, don’t agree on that. The standard price is 100 Baht (and even that’s quite expensive for Thailand standards) so just wait until there are two or three other passengers and they will start driving. The ride on the partly extremely hilly road from Haad Rin to Thong Sala Pier takes about 20-25 minutes. As you can see, there are 3 ferry companies: Lomprayah, Seatran & Songserm, you can double check the departure times on their websites and also pre-book your ticket. And 8 daily departures. However, note that even though Seatran and Songserm have the cheapest ticket prices (300-350 Baht), they are quite unreliable, means often they don’t operate when there aren’t many people. 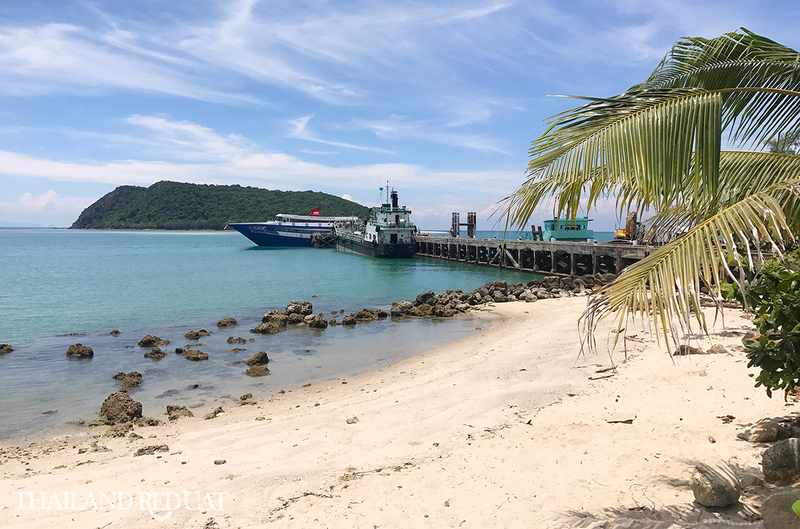 Lomprayah is the most reliable ferry company, they have the nicest boats, but it’s also your most expensive option: It’s 500 Baht for a one way ticket from Koh Phangan to Koh Tao (or vice versa). The trip takes just about 80 minutes, and that’s about 1 hour quicker than their competitors. Once you have reached Koh Tao, of course you will be awaited by the Thai taxi drivers. They usually charge 100 Baht, same like on Koh Phangan. If you stay on Sairee Beach, then don’t take a taxi (unless you have a lot of luggage). There is a nice beach promenade and you can walk all the way from the pier to Sairee Beach in about 20-25 minutes. Alternatively you can rent a motorcycle. Rates are 250-300 Baht per 24 hours. And then relax and enjoy Koh Tao! 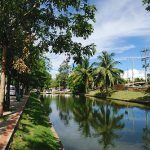 You can find lots of useful info in my daytime and nightlife guides. 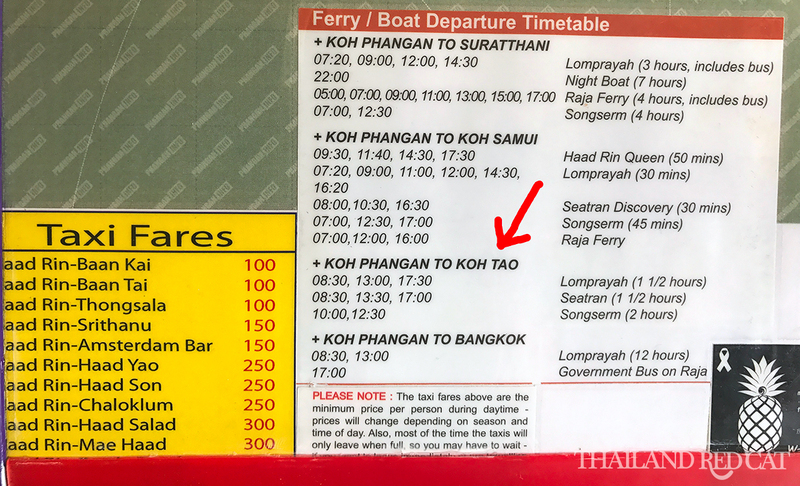 When I traveled back to Koh Phangan last month, I was told at the travel agency at Ban’s Diving Resort that there is a Seatran ferry at 1pm – 350 Baht. The same boat I had already taken 3 days ago from Phangan. However, when I came to their ticket booth at the pier, they told me “no boat today”. Not enough people. So I had to get the more expensive Lomprayah boat for 500 Baht at 3pm. That’s a typical scenario – you never really know when the boats leave. The best idea is to go to the pier the day before and buy your ticket, that way you don’t have to wait for several hours in the heat near the pier. The afternoon ferry has almost always a delay – in my case 35 minutes.